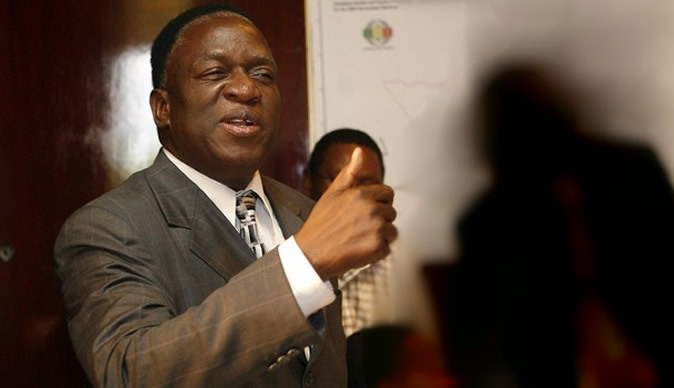 President Emmerson Mnangagwa has been accused of flying out to take dictatorship refresher courses during his recently announced trip to five countries. MDC Spokesperson Jacob Mafume said, "Mnangagwa is taking a trip to four countries all under the rule of stinking dictatorships. He has always been maintaining relationships with countries like Belarus where autocracy reigns supreme." Mafume said Mnangagwa is going to learn how to suppress the civil servants and opposition members who have dissenting views to those of ZANU PF. "His trip to these countries therefore comes not as a surprise to us in the MDC. It is a bid to take a refresher course for totalitarian, autocratic and fascist rule from the despots in these capitals. This is against a background of increasingly closed democratic space in the country with teachers being arrested and dissent persecuted with Zanu PF displaying its true colors since the August 1 shootings." Mafume further said the MDC was concerned about the amount of tax payers money being used to fund foreign trips that will not bring any meaningful economic benefits to the country. "We are concerned by the abuse of tax payers money funding these trips while hospitals are closed and serious unrest arresting civil service. The money should have been used for urgent essentials." President Mnangagwa is expected to visit Russia, Belarus, Azerbaijan and Kazakhstan. He will also visit Switzerland for the World Economic Forum. Presidential Spokesperson Mr. George Charamba said the pending visits by the President were strategic and Zimbabwe was expecting "quite a bumper harvest of agreements and Memoranda of Understanding". "In respect of the first four, they are at the invitation of his counterparts," he said. "The countries, which are in the same region, are strategic both bilaterally and multilaterally." Charamba further said Russia was an economic player in terms of investments in Zimbabwe, particularly in the mining and agriculture sectors and Belarus has been bringing mining and road construction equipment into the country apart from infrastructure development projects.